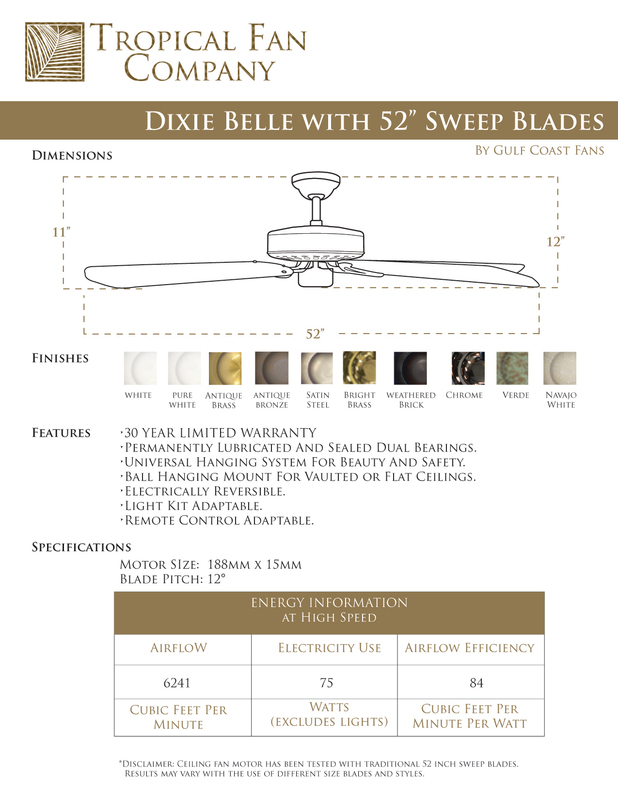 The 52 inch Dixie Belle Indoor Ceiling Fan with Arbor Series 425 Solid Wood Blades offers that timeless style that has kept the Dixie Belle Popular for over 30 years. The Dixie Belle motor is designed to run literally 24 hours a day for decades.The solid wood Arbor Series 425 blade just adds to its appeal. The blades are made of solid bass wood. Bass wood is know to wood carvers and is great for ceiling fan baldes for its uniform density, resistance to the elements and its varied and beaurtiful grain when stained.The blades are finished in oak, cherry, dark walnut and white wash. The Dixie Belle motor is available in 10 finshes with our most popular finishes being Oil Rubbed Bronze, Satin Steel and Antique Bronze. And of course its original color Pure White. 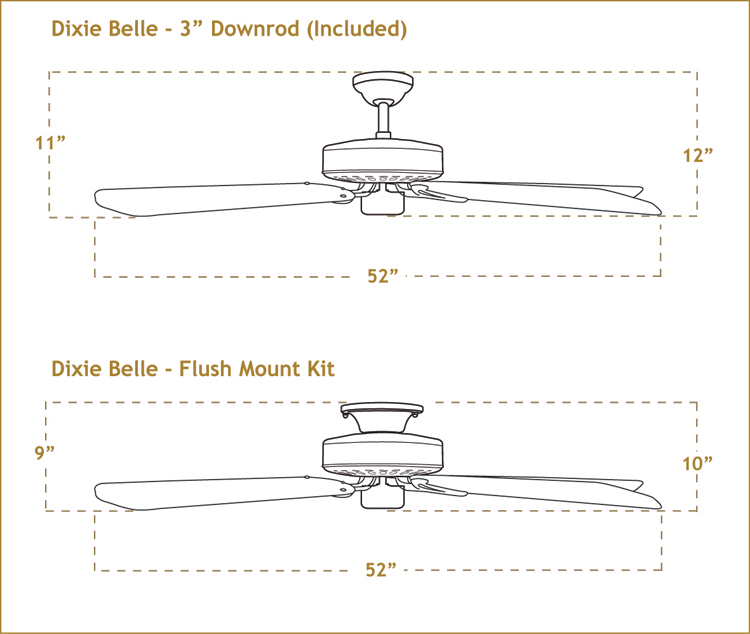 Try the Dixie Belle with any of our blade combinations and see why we say, install a Dixie Belle ceiling fan in your house and you'll never buy a fan anywhere else. 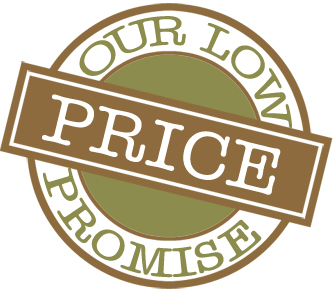 Arbor 425 style blades are also available in 60" and 72"